The event will host 30+ hiring employers, along with educators and local service agencies. Workshops offered with focus on job readiness and job search strategies. The Work Source Georgia Mobile Career Lab will also be on site to help job seekers with resume and interview skills. And, we will have interview clothing available for those that want to spruce up their look. 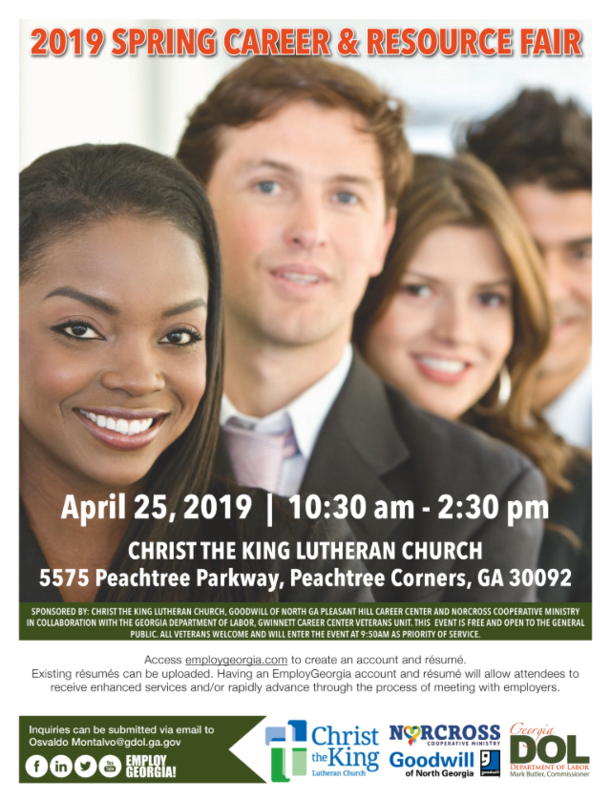 Employer list can be found on the GA Department of Labor website under the Job Fairs and Other Events tab. We still have slots available for any hiring employer who wishes to participate.